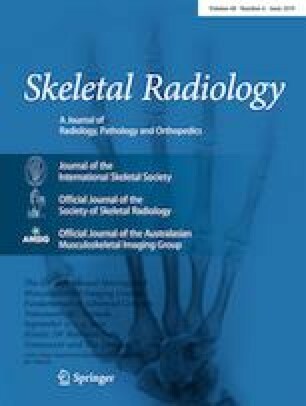 The aim of this study was to compare the diagnostic accuracy of nuclear imaging modalities in the detection of aseptic loosening of total knee arthroplasty (TKA). MEDLINE, EMBASE, and the Cochrane Database of Systematic Reviews were searched from database inception to December 2018 in accordance with Preferred Reporting Items for Systematic Reviews and Meta-Analyses (PRISMA) guidelines. Included studies compared the results of a single imaging modality against an appropriate reference standard of prosthetic TKA loosening, with sufficient information to determine either sensitivity and/or specificity. The methodological quality of the studies was assessed using the QUADAS-2 tool. The search strategy identified 572 abstracts. Of these, 12 studies comprising 401 patients across four modalities (bone scintigraphy, 18F-FDG-PET, SPECT/CT arthrogram, radionuclide arthrogram) met the inclusion criteria. All included studies used operative findings, a period of clinical or radiographic observation or both as a reference standard for aseptic loosening. Sixteen comparisons with the reference standards were extracted. All studies were at risk of bias across patient selection, the index test, reference standard, and flow and timing of patients. The most accurate test for diagnosis of aseptic loosening in TKA was SPECT/CT arthrography demonstrated by the summary receiver operating characteristic curve. The best available evidence suggests the most accurate modality for the detection of aseptic loosening in TKA is SPECT/CT arthrography. However, the available evidence has a high risk of bias, and total number of patients studied for each modality is small so further studies are warranted. The online version of this article ( https://doi.org/10.1007/s00256-019-03215-y) contains supplementary material, which is available to authorized users.